Health Coach Jobs | Health Coach Resource: Day 8 of 30 Days of Hope and Inspiration: My future is bright! Day 8 of 30 Days of Hope and Inspiration: My future is bright! 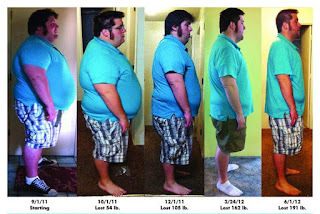 By using the Program, "Kyle has gone down 15 pant sizes, 3 shirt sizes and 3 shoe sizes and he no longer hurts from walking from one end of Campus to the other! There are so many things that have changed for him. He is also so excited about what his future holds! Kyle is an amazing young man. The summer before his sophomore year in college, he decided that he was going to make changes in his health and started working with a Health Coach. He has always been active, but struggled with poor eating habits that over the years added considerable weight to his frame. He is a full time college student living away from home. He follows the meal program and checks in with his Health Coach every week. Kyle has taken control of his life and (even) with plenty of distraction and obstacles, has remained committed to his health. Share this with the people you love ... whether we are packing 15 or 150 extra pounds around, we have a health promoting, cost neutral, and convenient way to help you regain control of your habits and your health! Feel better now! Give us a call, getting started is easy!! !